Analysis of a corpus of 154 sonnets. Analysis of a corpus of 53 sonnets. 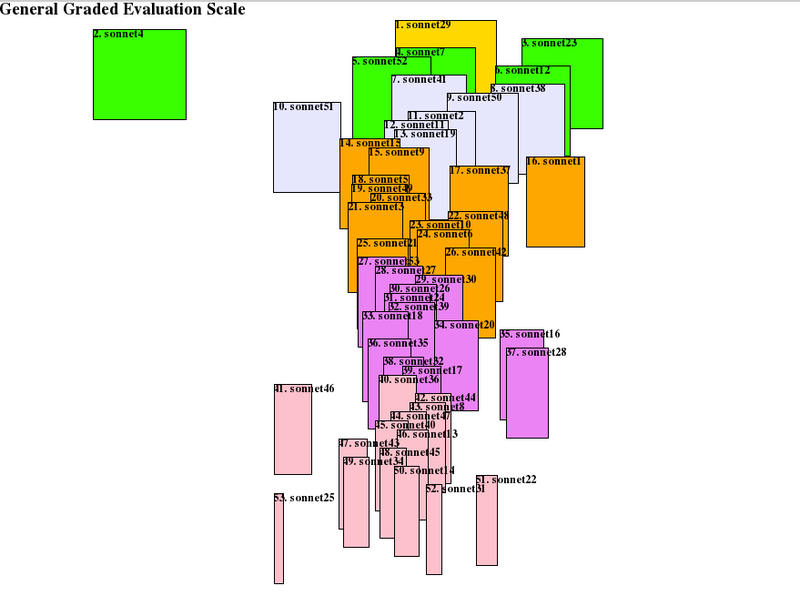 General graded evaluation scale of William Shakespeare’s corpus (click here to get the raw data).